For the sixth consecutive year, the Phone Scoop team is in Las Vegas this week for the mother of tech trade shows: CES. We'll be bringing you extensive hands-on coverage of everything related to cell phones at the show. We'll be hitting the show floor, as well as press events and one-on-one meetings with the major players, in order to bring you everything there is to know. We'll have plenty of photos and videos, of course, as well as live photos and live-blogs of major news as it happens. This year, we expect big news from Palm. At least, that's what they've promised us, so look for our live-blog of the Palm press conference at 11am (PST) on Thursday. We also expect news from Motorola, T-Mobile, LG, and more. Be sure to check in through Sunday for additional updates as we scour the show for every last bit of phone news and bring it to you here. Ask us about the Pre! We've tried it. What do you want to know? We can get more hands-on time as well, so if we don't know, we'll try to find out. Hows the UI? It looks nice but how is the speed. And hows the browser? Doubt it has flash but compaired to android, apple and opera how does it stack up? Great coverage of this stellar looking/sounding device! I'm very excited! does it have haptic feedback or some type of notification when the screen is touched? You mentioned the Pre havin multi-touch? I thought Apple has stringet patents on multi-touch. Am I right to assume that the Pre is not compatible with applications made for other UI's? Will the Pre work with older Palm OS based applications? Such as software from the Centro? The only thing I think this artical was missing in my oppinion is the in depth information we get in a review where you've spent more time on the phone. Do you have any indication of estimated battery life? Will it have Visual Voicemail like the iPhone/Instinct? Do you have to slide the device open to answer\talk on the phone? Once you dial can you hang up by closing it or can you continue to talk? Will the "out-of-the-box" Pre be able to sync with iCal and Address Book data on Macs running OS X? If so, will the sync software support OS X 10.4 Tiger and later? Not impressed with the Pre. No real WOW factor like the iphone plus it is on sprint. Nobody is leaving at&t or verizon for this phone. My bet is this phone will be forgotten as quickly as the Instinct. I've tried it. I think it has some real wow factor. The interface is very slick, and has some real innovative ideas. palm pre. is it another over hiped pos? is it really innovational or just another over hiped imatiotion of the iphone like the g1 and blackberry storm? it is inovational, first things is wireless charging? tight. is it likely verizon will carry this phone anytime in the future? and if so do you think they will change anything up? Does verizon really NEED another phone? DON'T THEY HAVE PRETTY MUCH EVERY PHONE ON THE MARKET NOW??? Sprint has a limited period of exclusivity. I think there's a decent chance Verizon will get it some time after that period expires. 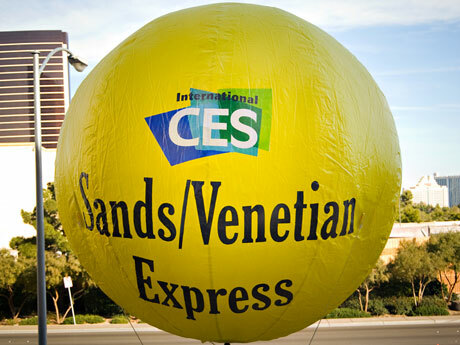 Is there anything at CES this year slated to come to Alltel? And does anyone know if Alltel now being owned by Verizon will help out us Alltel customers with more phones to choose from?? Game on, baby! GAME ON!!! Now THIS........is what I have been waiting for. Swearing by the Treo 755p and others of Palm Treo past, I simply CAN'T WAIT!!! Great job Palm!!! Any word about the CDMA Blackberry Pearl Flip (Kickstart)? Verizon had the Blackberry Pearl 8130 on sale for $20 with a 2 year contract "while supplies last" so that gave me the impression that they might be clearing them out. Is the CDMA Blackberry Pearl Flip (i.e. Kickstart) coming out soon? Any stuff about it at CES? Thanks. I didn't hear anything about it. It could be coming, but if so, they're being quiet about it. The article mentions the obvious benefit of the 3G data speed, but since the first specs were released, the 8900 has been without 3G. Mistake or awesome surprise? Im thinking mistake because all articles have it at Edge. They also dogged the phone in the review saying it feels cheap and mushy keys. Hopefully this phone is going to sprint, THEY NEED A NEW PHONE LINEUP. i'm a current account holder of sprint. But i wouldn't know wheter to get the blackberry "niagara", palm pre', or the expected phone from samsung operating on android. Sorry guys, it was a mistake. didn't Pharos announced 137, which is the very first unlocked 3G phone with T-Mobile 3G?! No Samsung i627 (Blackjack Slider) photos? It won a ces innovation award, one other sight has a photo of it? So they make a new device for the slowly dieing cdma networks but no gsm/hsdpa equipment? If they do announce one what chance will it have AWS support? No tmo I bet since they haven't carried a palm since the treo 600 days. Yes, there will absolutely be a GSM/WCDMA version of the new Palm. It will come as soon as Sprint's exclusivity period ends. Anyone know if the keyboard is the same size as the Centro? and is there a Touch screen landscape keyboard on it. even the subject line explains a lot about palm users. Im replacing my centro as soon as it comes out.